Infosys and Sri Ramakrishna Institute of Technology had entered into a Memorandum of Understanding (MOU) on January 31, 2011 with respect to enriching the technical education process and to jointly work for enhancing the quality of education imparted to students, faculty and management of selected colleges of the University related to the field of Information Technology (IT). 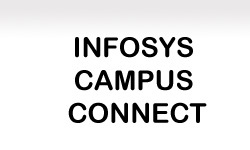 Campus Connect is an industry-academia partnership initiative launched by Infosys. The Campus Connect initiative aims to enhance the education level of engineering students, nationwide and thus increase the employability of these engineers. As a part of this initiative Infosys shares with partner colleges its proven courseware, methodology and education experiences. Campus Connect thus helps partner colleges groom Industry Ready engineers. Foundation Program (FP) is the training program designed for entry level students who on completion will be better prepared to work on real-life customer projects. Enabling partner colleges to deliver FP is the heart of this initiative. The training programs will be administered at the Campus Connect partner colleges. These programs enhance the IT industry specific basic knowledge and skills of the students of engineering colleges. 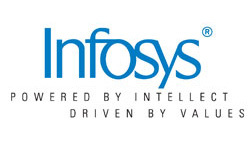 The Foundation Program is designed by the Education & Research department of Infosys primarily to train and prepare fresh engineering graduates who join the company, to take up challenging projects. It consists of following courses. The Campus Connect (CC) initiative brings this well tested and successful training courseware and methodology in the Generic Stream to the partnering colleges. The generic stream courses will be taught directly by the partner college faculty, who are enabled by the Campus Connect team. Campus Connect also provides the necessary courseware and support to implement and sustain the program. 10 batches of students so far trained by this programme and completed the course successfully with certificates issued by the Infosys.